Some of you out there know that, before I was a jazz pianist, I was a trumpet player. I started playing in the school band in 4th grade. 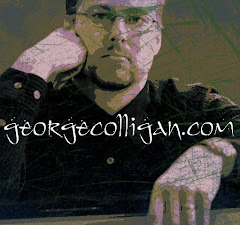 I actually went on to do my undergrad at Peabody Conservatory in classical trumpet and Music Education. I never had the natural talent for the instrument; I actually had major embouchure difficulties which made high range and endurance a major struggle. My teachers, Lee Stevens and Wayne Cameron, really tried to help me, but I never developed enough to be consistent. But I was so stubborn that I persisted, insisting that I was meant to be a trumpeter. But then, the piano suddenly became important. I was only learning piano to improve my understanding of harmony. But I sort of got lucky getting gigs on piano in Baltimore. I had so much paying work as a pianist that upon graduation from Peabody in 1991, I proceeded to quit the trumpet entirely. However, I decided in 1998 that I wanted to give it another try. Unfortunately, I had sold all my trumpets in 1991( I had a Bach Stradivarius Bb, a Bach Strad C for orchestral excerpts, and a Shilke D/Eb for playing the Haydn Trumpet Sonata and so forth). So I went to Sam Ash in New York and bought a cheap Holton Symphony Bb trumpet. I couldn't really tell if it was any good because all the horns I tried sounded terrible; I hadn't touched a trumpet in years so I had NO embouchure at all. The horns weren't terrible: I was terrible! So I messed around with trumpet again for a while, for about two years. Then I put it down again for another 5 years or so, and then in 2005, dusted off the Holton Symphony and decided to try again. When I accepted the job at the University of Manitoba in the Fall of 2009, I was assigned a trumpet student. This inspired me to practice so that I would be able to explain and demonstrate physical and musical concepts more readily. I still struggle with the physicality of the trumpet, but I'm better than I was in college. I also have had so many more musical experiences that it has helped my musicality on the instrument. 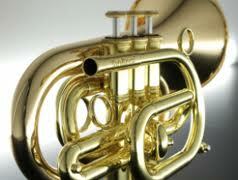 I can oftentimes play tunes that I know on piano but have never played on the trumpet. "How does it play? ""I don't know, but it sure is RED!" However, most trumpet players consider pocket trumpets to be little more than a novelty. 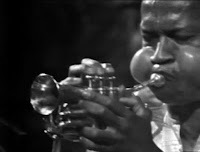 Before I purchased my pocket trumpet, many tried to dissuade me, saying that pocket trumpets are "stuffy" and "out-of tune" and "cheaply made." 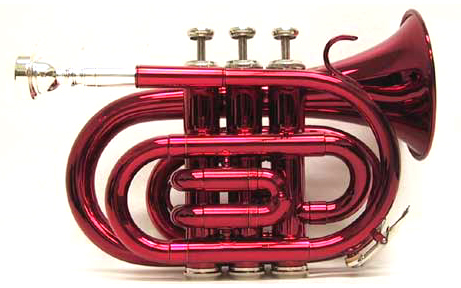 Indeed, you can go on Ebay or Amazon and find pocket trumpets of many different colors for less than 100 dollars. I'm sure these horns are crap. 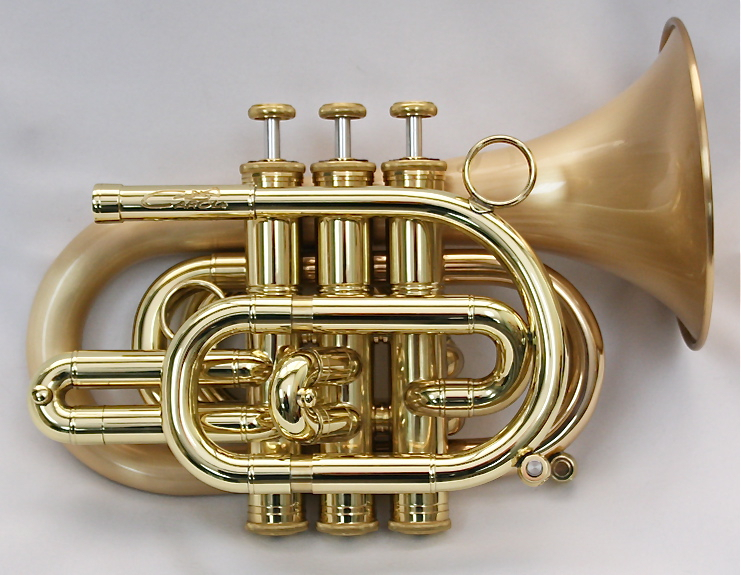 But there are also pocket trumpets which are $1500 and up made by real companies like Benge and Kanstul. Even Monette, which makes the most expensive trumpets(10,000 dollars and up) made at least a few pocket trumpets, as I have heard. 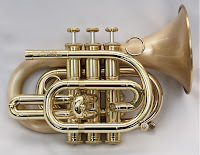 After doing a lot of research on line, I found many good reviews of the CarolBrass Pocket Trumpet. CarolBrass is a company based in Taiwan, and they are various distributors in the U.S. I found a brand new CarolBrass Pocket Trumpet being sold on Ebay for $750 through California Music Supply. It took a couple weeks to ship to Winnipeg from California. When it finally arrived, I was excited, as I hadn't bought a new trumpet since 1998! 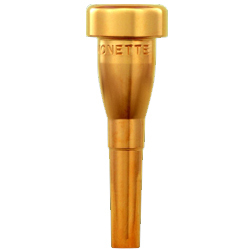 So I inserted the Monette B6 mouthpiece into the pocket trumpet and played a bit. My first impressions were pretty good: it has a nice mellow tone, and felt pretty good in all registers. The things that took a little getting used to were holding the trumpet, since the third valve slide on a pocket trumpet is operated by the left thumb, as opposed to the left ring finger on a normal trumpet. I will admit, when I play low D and C#, the notes which are very sharp on a normal trumpet, I have a hard time getting this slide out. I'm getting better at it the more I play, though. Also, I thought the overall intonation was very good, but sometimes, the accuracy of hitting the notes where I'm accustomed to feeling them was a little different. Again, the more I play it, the better it feels. Hey! Pocket trumpets are fun. Another player who uses them a lot is a French player named Mederic Collignon. He has a beautiful silver horn and he sounds pretty good on it. Another player is the Canadian Patrick Boyle. He's in Toronto now but originally from Novia Scotia, and he plays it like it's a folk instrument much of the time. Really fun. I have a Trumpet Max, which is also highly thought of by players who like the pocket size. It's well made. Didn't Cherry play a pocket cornet? The CarolBrass Pocket Trumpet is one heck of a player. With great intonation, and range ( a double C is no problem on this horn if you have the lip ) I highly recommend them. Passages Malibu HelpOakville Real EstateHey! Pocket trumpets are fun. Another player who uses them a lot is a French player named Mederic Collignon. He has a beautiful silver horn and he sounds pretty good on it. Another player is the Canadian Patrick Boyle. He's in Toronto now but originally from Novia Scotia, and he plays it like it's a folk instrument much of the time. Really fun. Truly useful submit. Recently i stumbled on your site along with necessary to claim that I've actually liked checking out your blog post content.